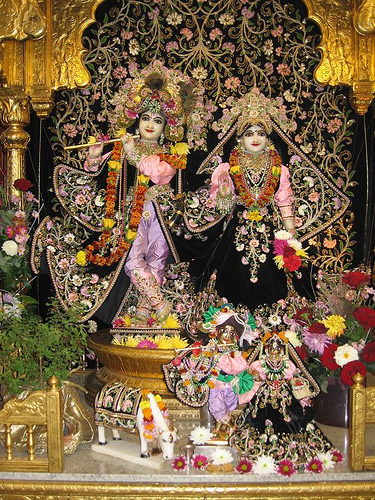 "One's memory of Krsna is revived by chanting the maha-mantra, Hare Krsna. By this practice of chanting and hearing the sound vibration of the Supreme Lord, one's ear, tongue and mind are engaged. This mystic meditation is very easy to practice, and it helps one attain the Supreme Lord."